We are happy to announce the upcoming litter from Rosie & Colt due May 12. 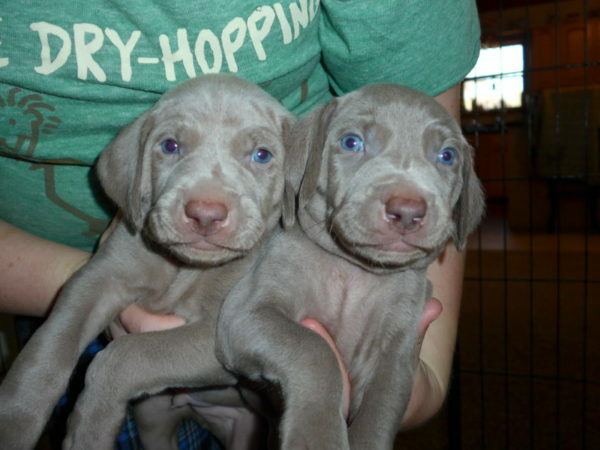 We are blessed with a upcoming litter of Silver Weimaraner puppies from Rosie and Colt. 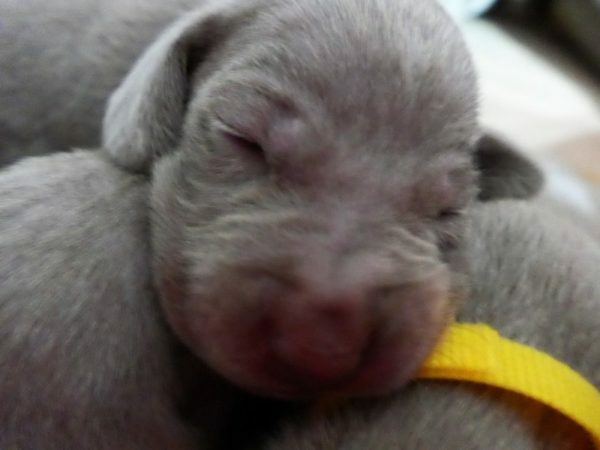 We currently are taking deposits for Silver Weimaraner available from Rosie and Colt’s litter. 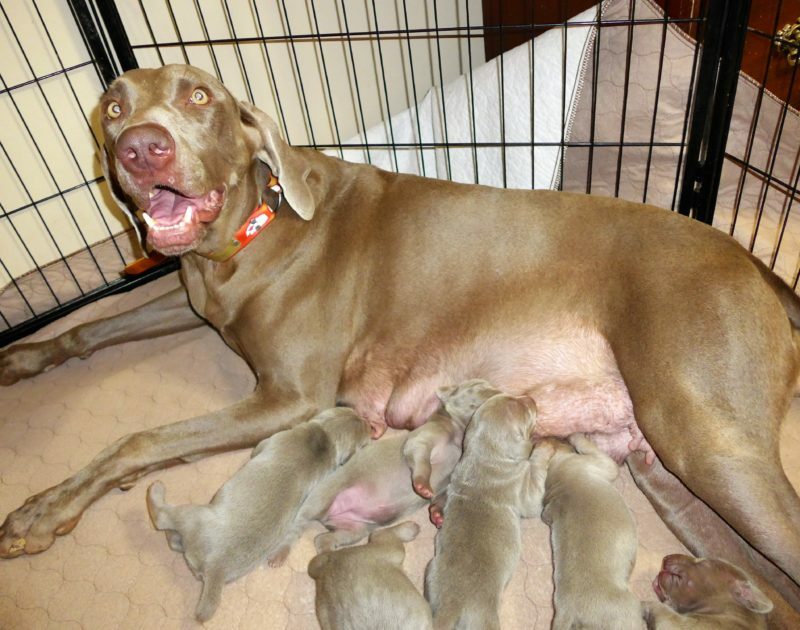 The Video we are currently showing for this litter are from Rosie’s previous litter. Click on the video tab to view the weekly videos. 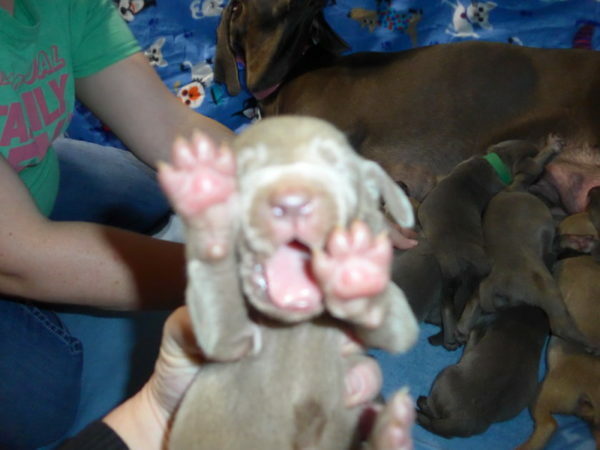 Visit this page for weekly videos and photos of this litter. 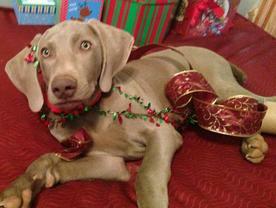 Our Rosie is a beautiful Beautiful Silver Weimaraner. She has a muscular build, excellent conformation, and block head. Rosie has an impressive pedigree with her father being an international champion bloodlines. She is a very loyal girl and loves just being part of the family. Colt is our stud dog for this litter. 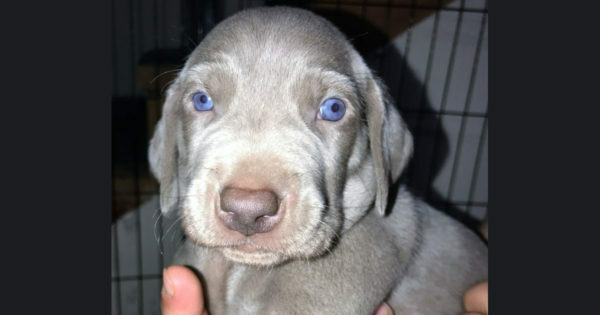 He is a Big Silver Weimaraner. 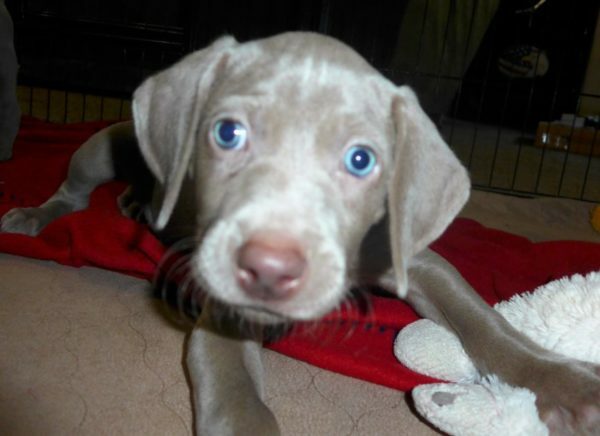 Colt is amazing and represents the Weimaraner breed Beautifully. 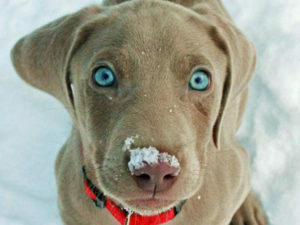 He is a big Weimaraner with excellent confirmation. Colt has AKC Championship Bloodlines. With his pedigree, we are anticipating puppies that are intelligent, have great confirmation and very loyal family members. 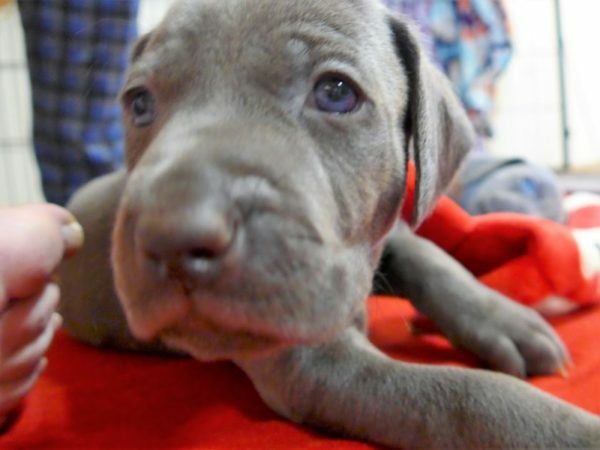 As always your pup will have been dewormed several times with a vet grade dewormer. They will also have had their first two sets of vaccinations already completed. The tails will be properly docked and the dew claws removed properly by a certified vet. 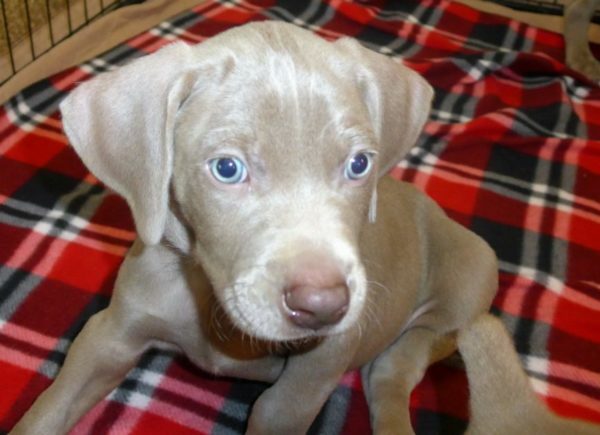 Then, they will get their final vet checkup to ensure that you are getting the healthiest puppy possible. We will post a litter photo of the puppies and Rosie once the pups are born. 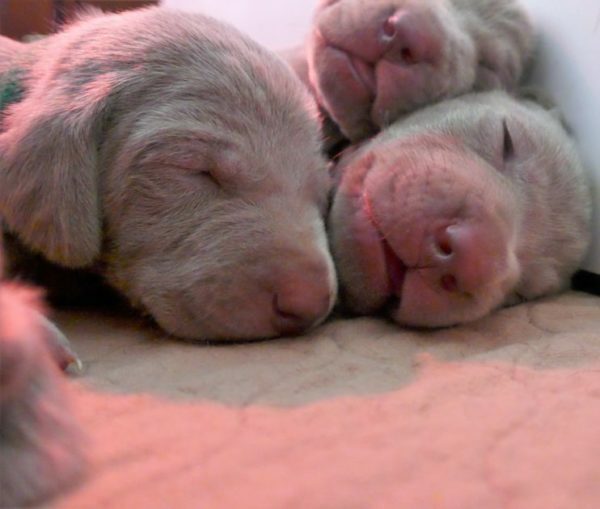 We also take a weekly video of our pups to make sure your not missing out on anything during this exciting time. We do our best to make this a fun family experience that you will never forget. Our clients love the pics and video and are always looking forward to the next one. The videos give you lots of good info and really help you and your family out when it comes week 8 when it’s your time to pick out your new family member. This litter will be available to go to their new families on July 20th for those picking up their puppy and July 24th for those having their puppy shipped. 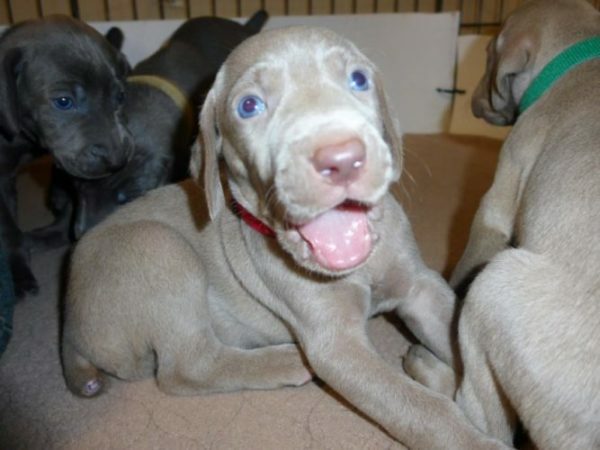 We sell our Silver Weimaraner puppies for $1,200 for limited registration and $1,550 for full registration if you have prior authorization. 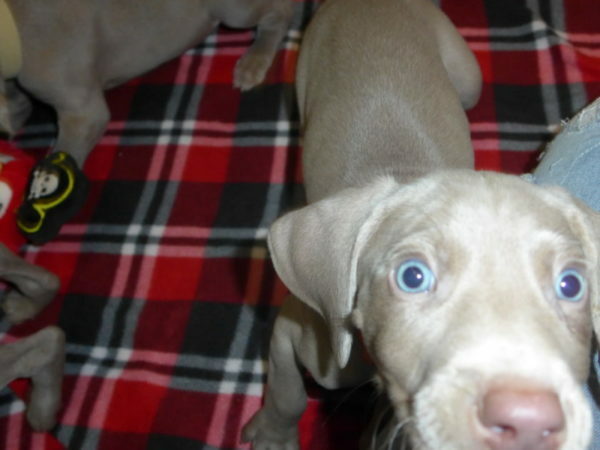 Pick of the litter (or first pick) is an additional $100. If you have a question on the limited or full registration please give us a call at 812-709-1839. A $200 non-refundable deposit will hold you a spot on our list. We accept credit cards, debit cards, PayPal and cash. Shipping cost is $350 in the United States not including Alaska and Hawaii. We accept credit cards, debit cards, PayPal and cash. If you have any questions, please give us a call or email.